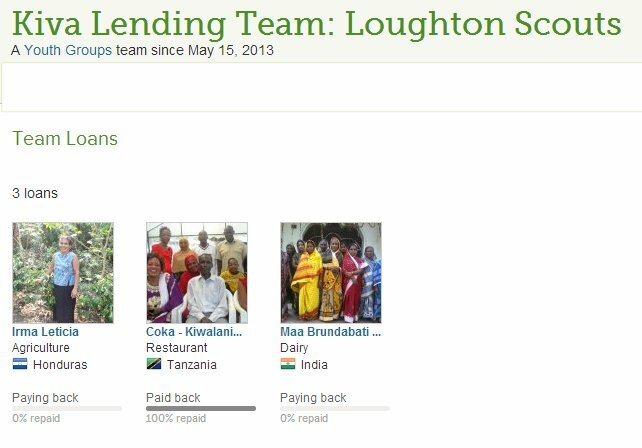 Some of our Patrol Leaders created a group on Kiva and received funding through the Kiva site to make loans to groups throughout the world to help them kick start their business. There is no guarantee that the loans are repaid (most are), but the aim here is for the Scouts to actively do something to help those in greatest need. If you are in the Troop and are interested in becoming part of our group, please let us know. When we recruit new members we may receive more funding to put towards others who require loans.